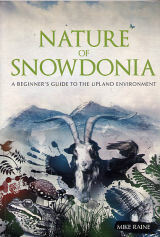 The first complete field guide for the mountains of Snowdonia through the seasons, its plants, animals and rocks. Don't tear up your chunky field guides to hill flowers, birds, lichens and animal tracks - pack this small volume in your rucksack for a day in the hills instead. Everything you're likely to see in the hills at that time of year is here in one volume. The chapters are organised by season; winter is the perfect time for studying rocks and lichen; in spring the bog flowers flourish and beautiful orchids bloom; summer brings fruits and flowers, and the trees are in full leaf; in autumn an amazing display of fungi appear, and the hill farms are busy again in preparation for winter.